Can I ask you an honest question? Have you ever performed in a bellydance show and felt a little bummed out by your performance? It might not be as obvious as making a mistake or forgetting your routine. Instead, perhaps you just didn’t give it everything you’ve got and shine the way you wanted to. If, like me, you’re not naturally massively exuberant when you dance it can take a bit of work and preparation to get yourself, emotionally, to the right place to be able to really shine on stage. I take your dancing seriously and I believe that it’s worth bringing everything you’ve got to your performance. Why? Because having a rich and emotionally connected dance experience feeds yours and your audience’s souls in a really positive way. Dancing with this approach taps into core feelings, expressions and emotions that our daily life, increasingly, don’t allow us space for. Feeling confident and secure in expressing yourself when you dance is what we all wish for. But it comes more easily to some than others. In today’s express class I’ll give you one highly effective (and fun) strategy that can help you fire up your moxie and smash your next dance performance out of the park. Are you ready to embrace the bling and dip your toe in the glittery bellydance water? Then your next step is to Join us and start your bellydance journey at one of our beginner taster sessions this Summer in July and August! Choose your Taster Session and book here. If you’re looking for high level bellydance training then be sure to snap up one of the last remaining places on the Serena Ramzy workshops on September 10th! Conveniently for our local dancers, the workshops are being held in Twyford, Berkshire. Go here to grab one of the remaining places. Ps. Not local to Reading UK? Perhaps you’re based in one of the other 25 countries my blog gets emailed to 🙂 If you’d like to learn bellydance with me you still can! At Santa Maria Bellydance Online I have an entire library of classes for you to enjoy. “See” you in class. Summer is here! Just like the gorgeous flowers that are emerging all around us, it’s time for you to blossom and sparkle. And, as ever, I’m on a mission to help you bring out your feminine side by teaching you to bellydance, step by step. Before I dive into this week’s express class, I want to give the heads up to any local dancers (to Reading, UK) about an amazing opportunity to take some training with top international performer and teacher Serena Ramzy on 10th September 2017. If you are an advancing dancer then it’s no exaggeration to say that this an unmissable opportunity to take some high level training. (You’ll find the link for further details and booking at the bottom of this post). 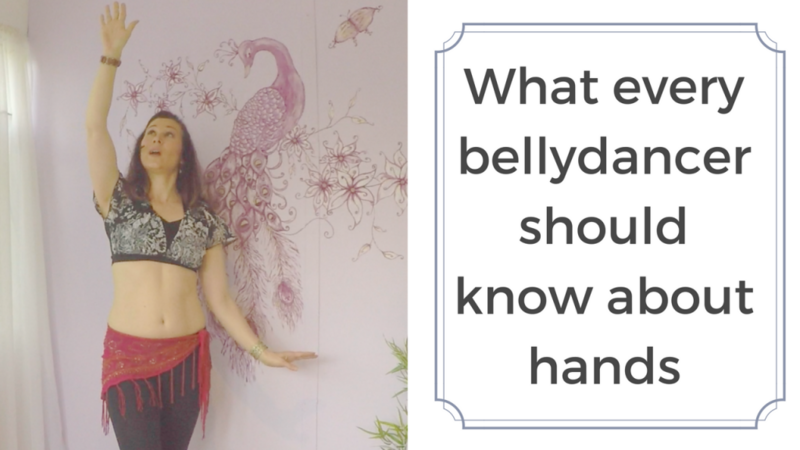 Are you just starting out on your bellydance journey? Or perhaps you’ve been on an extended break from bellydance? Then come along to one of our Beginner Bellydance Taster Sessions! Dip your to in the glittery bellydance water with a one hour taster session this Summer. Find all the details and online booking here. Now on to today’s express class. In this episode I’ll give you 3 more speedy tips to stop you looking like a beginner and start you looking like an advanced dancer. This time, the focus is on hands. Are you making one of these 3 ham-fisted mistakes? Check out this week’s class to get it fixed in double quick time. Now you’ve watched the class, I’d love to know what you think! Be sure to leave a comment on youtube and of course you’re always welcome to message me. Thank you, as always, for reading and watching. Ps. Go here to book your place for training with Serena Ramzy (hint: there’s an early bird deal!). Link takes you to a different site.